Agent Leo Alvarez is on his way to Hawaii when his partner calls in a favor--the mob is after a pastry chef in NYC, and he's the only one who can get to her in time. With his dreams of Mai Tais and sandy shores ruined, Leo rushes to her rescue. But when he arrives at her apartment, he's greeted by an upturned nose and an icy blue stare. This damsel in distress doesn't need saving. Good thing he's a retired marine who never backs down without a fight. After a childhood racked by scandal, McKenzie Harper has learned to loathe surprises. So when a strange man knocks on her door, interrupting her morning routine, she has no choice but to politely shut it in his face--no matter how deeply his hazel eyes might pierce. She has places to go, pastries to bake, and promotions to secure. Or she did, until three masked men kidnap her and throw her into the back of a van... Suddenly, that white knight doesn't seem so scary. He's a cocky Fed with a killer smile. She's an uptown beauty with a biting tongue. If they want to survive, they'll have to learn to work together--assuming they don't kill each other first. I can't believe it's the last book in the series. 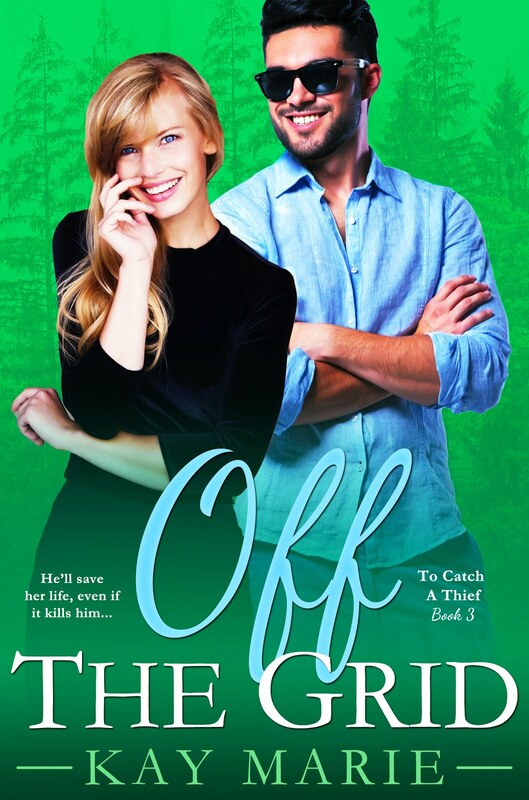 I loved all the books so far, but Off the Grid was by far my favorite. Leo is on the way to well deserved holiday in Hawaii, when Nate (his partner) calls him and asks him to babysit Jo's friend. She is dangerous and needs someone to look after, but McKenzie doesn't take well to that. Her childhood experiences make her distrust Feds and she doesn't enjoy not being in control. That all changes when she is kidnapped. It's just the start of the action-packed adventure, that will force them to work together and rely on each other. Leo is such a fun character, full of swagger but with a heath of gold. McKenzie is the opposite of him, always in control, tiny bit uptied. when they clash sparks fly. :) I love the dynamics between them and the dialog. The story is action-packed full of super cool on-the-run scenes and the romance it's just the sweetest.